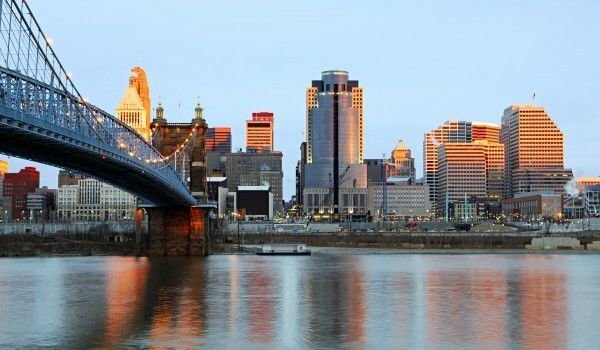 Cincinnati is the third largest in Ohio, it is located around the shores of the Ohio River. Residents of Cincinnati are about 330 000 people. The birthplace of icons George Clooney, Carmen Electra and Sarah Jessica Parker has attracted millions of tourists every year thanks to its interesting museums, parks and cultural attractions . One of the attractions is the Cincinnati Museum of Art. In the beautiful building is a collection of over 60 000 objects, the result of creativity from 6000 years ago, to this day. Ancient Egypt, Rome and Greece are recreated in a charming way through numerous artefacts and works of art. Asian, African and Native American exposures also find their place in the museum. Renoir, Monet and Picasso are just some of the authors whose original paintings can be found in the Museum of Art. The Museum Centre of Cincinnati is another interesting cultural and historical attraction - the Duke Energy Children's Museum, the museum of history and science and the historical society library in Cincinnati. Annually more than 1.47 million people visit the attractive museum complex. In the city centre are very interesting modern tall buildings, the most popular among them is Carew Tower, Scripps Center and Ingalls Building. The city has one of the few remaining nearly intact 19th-century neighborhoods. This is Over-the-Rhine, where we find located the Art Academy of Cincinnati , Music Hall and Findlay Market. Characteristic of all these buildings is the specific architectural style called "italianate". The neighbourhood has other beautiful buildings entered in the register of historic sites in the USA. It really has preserved its antique spirit. There are nearly 1000 extremely well-preserved buildings that immerse you in the good old times. The name of the place - "Over the Rhine", as you might guess, is given by the German immigrants who named the area so divided from the city centre of Miami and Erie canal. Actually, this neighbourhood is the world's richest collection of buildings whose design is "italianate". With the history of railways closely related, you can find out all about it, by visiting the National Underground Railroad Freedom Center. The rest of the dynamic city can be found in the magnificent Botanical Gardens and Zoo in Cincinnati. Recently they were ranked among the 10 best such complexes in the world. Over 1.2 million people annually visit these Green zones. There you will see over 500 animals from all continents of the planet and over 3000 species of plants. If these sites do not satisfy your curiosity, visit the Newport Aquarium, where you can view over 7000 aquatic creatures from around the world. The complex is built under the tracks, as is the tank itself, as well as rooms where you can touch some of the aquatic animals. Access fee is between 15 and 22 dollars. 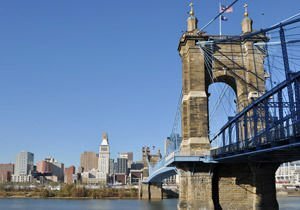 Cincinnati was founded in 1788, the city was named after an ancient historical figure of Rome - Cincinnatus.